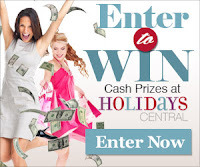 Browse » Home » Making Money » Win up to $20,000! Once you become a NCP panel member, all you have to do is scan and send your household purchase information every week with a handheld scanner that they provide. For each week in a qualifying quarter, NCP receives your purchase information you will earn one entry into their Grand Prix Sweepstakes where you can win $20,000! Every quarter one lucky panel member wins! This is always a hot offer that will end soon, so join NCP now!